Halloween is one of the oldest holidays celebrated in the world. The festival is celebrated on the 31st of October each year in several countries around the globe. A blend of ancient Celtic practices, Roman and Catholic rituals and European folk traditions, All Hollows Eve has become a world famous celebration. Halloween is a time of celebration and superstition, which includes Trick for Treat activities, Bobbing for Apples, The Witch’s Broomstick, Jack-O-Lanterns, Halloween Masquerade Mask among other activities. 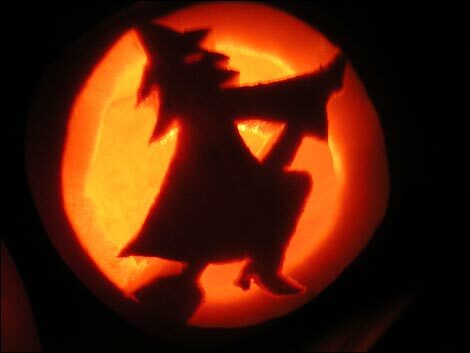 Halloween dates back to the ancient Celtic festival of Samhain. 2000 years ago, the Celts used to live in the now area of Northern France, Ireland and UK. The Celtic New Year used to be celebrated on the 1st of November, which marked the beginning of the dark cold winter and also the end of summer and harvest season. Somehow this time of the year was solemnly associated with human death. The Celts believed that the 31st October, that is, the night before the New Year, the boundary between the worlds of those alive and those dead became blurred and thus they celebrated Samhain (Pronounced as Sow-In) since it was considered that the ghosts of the dead would return to Earth. In fact, putting aside by far the American and European culture, even in many sub sections of Hinduism (In India, Mauritius and other countries), this period of end October to November is considered as the day where the souls of dead ancestors come back to visit the house of their families. Bengalis notably celebrates the Kali (Goddess of destruction and death) Puja which occurs on the new moon day in October-November that follows 3 weeks from the start of the Hindu celebration Durga Pooja. The eve of the Kali Pooja is known as the Bhout Chaturdashee where souls are believed to be roaming around. Back to the Celts.. So they thought that the presence of the otherworldly spirits caused trouble and damages crops as well as made it easier for the Celtic priests to predict the future. These prophecies were an important source of comfort and direction during the long dark winter for these people. In a form of remembrance, the priests used to build huge sacred bonfires, where the people gathered to burn crops and animals as sacrifices to the Celtic Deities. The Celts wore costumes of animal heads and skins. When the Romans conquered the majority of Celtic territory by A.D. 43, two festivals of Roman origin were combined with the traditional Celtic celebration of Samhain, in the course of the 400 years of ruling. The first festival was Feralia and the second was a day to honor the Roman Goddess of Fruit of Trees, Pomona. The symbol of the latter is the apple and incorporating this celebration into Samhain might explain the tradition of “bobbing” for apples, practiced nowadays on Halloween. It is usually deemed that the Pope attempted to replace the Celtic Festival of the dead with a related, church sanctioned holiday. The celebration was called All-Hallows or All-Hallowmas and the night before it, the night of Samhain, was thus called All-Hallows Eve, eventually, Halloween. The driving force of the practices changed over time to become more ritualized. As belief in spirit, possession decreased, the practice of dressing up like hobgoblins, ghosts, and witches became the new rite.